After a months-long search, the Mortgage Bankers Association  (MBA) on Thursday announced that Treliant Risk Advisors' Robert D. Broeksmit will soon take up leadership of the MBA, taking the baton from outgoing MBA President and CEO David Stevens. Broeksmit is currently President and COO of Treliant . He is set to step in as the MBA's President and CEO on August 20, 2018. David Stevens had previously announced his effective retirement date as September 30, 2018. "I am honored and humbled to be selected for this role," Broeksmit said. "Our industry, particularly on the residential side, is facing headwinds, and I look forward to working with the MBA team to address all business, legislative and regulatory issues ahead of us to ensure the residential, commercial and multifamily real estate markets remain healthy and vibrant." A 33-year veteran of the mortgage industry, Broeksmit headed Treliant’s mortgage services areas and its executive office, according to the press release. 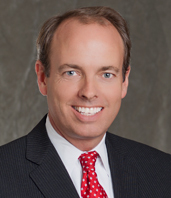 Prior to joining Treliant, Broeksmit served as EVP of Chevy Chase Bank. He has previously served on the MBA's Board of Directors and as Chairman of the organization's Residential Board of Governors. "The MBA has never been stronger, and we have full confidence that Bob is the right person to take the MBA to even greater heights," MBA Chairman David Motley said in a press release. "He brings with him decades of industry knowledge and leadership experience at a time when our industry is facing great change and disruption." “Congratulations to Robert on his appointment,” said Ed Delgado, President and CEO of The Five Star Institute . “I have no doubt that his wealth of industry knowledge and experience will serve the MBA well moving forward. There is still much work to be done toward sensible policy reform that has a significant impact on housing. We look forward to continuing to work in the spirit of collaboration with the MBA and all industry stakeholders on initiatives that have a positive impact on the mortgage industry." "Bob’s appointment to the helm of the housing finance industry's most important trade association is a proud day for Treliant," said Andrew L. Sandler, Chairman of Treliant. "The MBA made a great choice in selecting Bob for this critical role and we look forward to supporting him in his leadership of the MBA." The news follows Stevens' announcement  last October that he would be stepping down from the role after six years, citing health issues and a desire to spend more time with his family. Stevens had been public about his battle against cancer, saying in a statement at the time that, "With my cancer in remission, focusing on family, friends and staying healthy is my priority. This was a difficult decision; it's hard to walk away from supporting an industry that shaped my career. It's been an honor to work with the talented staff, strong leadership and diverse membership of the MBA." "I've known Bob [Broeksmit] for over a decade, and he is an excellent choice to lead MBA," Stevens said. "Bob brings a deep understanding of how the industry works and understands the needs of our membership, and I look forward to working with him to ensure a seamless and successful transition." To read exclusive quotes from outgoing MBA President and CEO David Stevens, discussing his legacy with the organization and the challenges his successor will face, click here .